How do you picture awakening? Awakening, this weeks photo challenge. I think Becky will like this one, luckily I remembered it in March! Do you think it’s mad enough? Join Becky’s #MarchSquare challenge here. I’m having another shot at rounded with a photo I took in Florence last month. 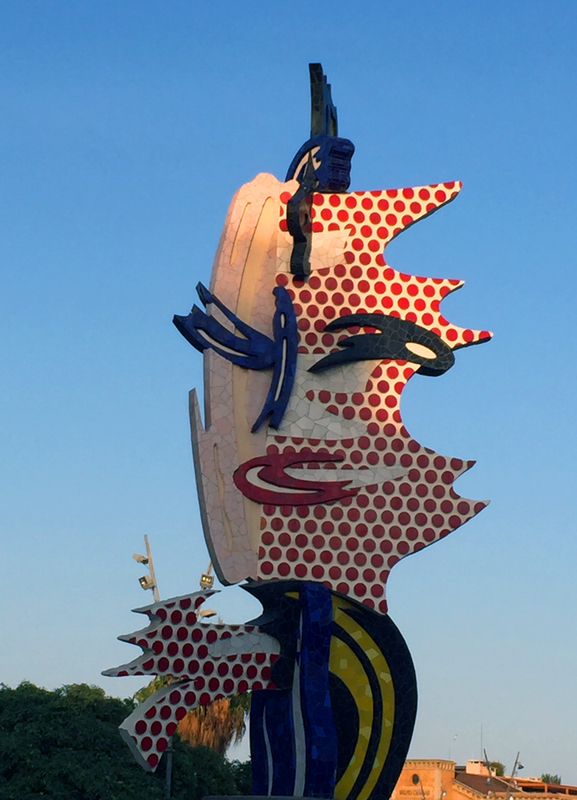 By Albanian sculptor Helidon Xhixha, this work is named ‘O’ seems to have caused some controversy between the Mayor, Dario Nardella and the local traders. I’m glad he won,i like the sculpture very much. As someone who likes sculpture, I have to confess to being a complete idiot. You know how you walk past something regularly and don’t even notice it? well this is one of those things. 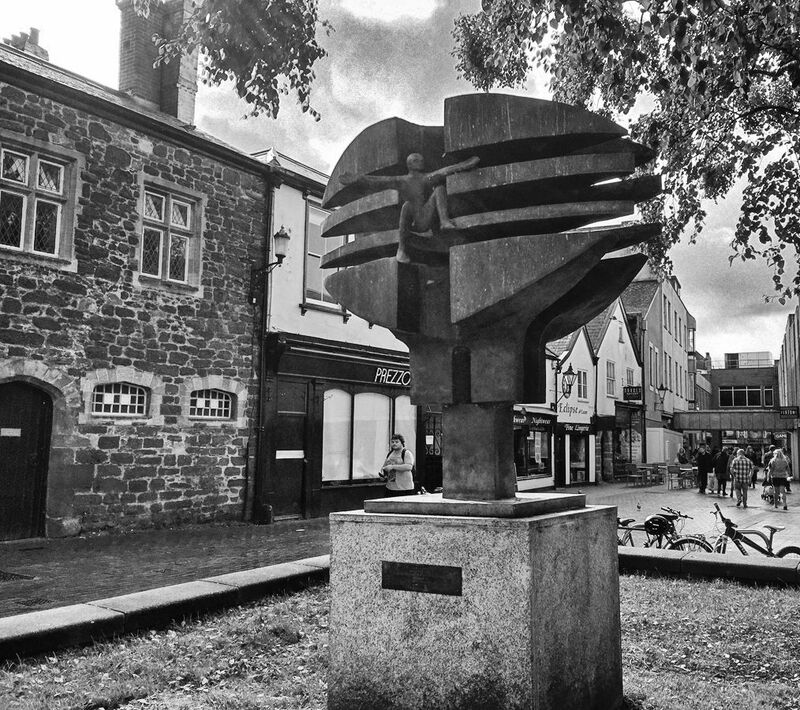 Commissioned in 1977 by Exeter city Council, for the Queen’s Silver Jubilee, it’s one of a series by Peter Thursby, and named Looking Forward. The sculpture depicts a Podman, they were ‘Little men on scaffolding, constructing buildings. They appeared to be framed in boxes, like peas in a pod’. Thursby made a full sized model from polystyrene in his Exeter studio. The finished work was cast by the Chris Blackmore foundry near Ashburton. Will any of you confess to discovering something that you’ve walked past hundreds of times and not seen?